With a refocusing on hybrid and electric car technology, Porsche announces a diesel-free future of vehicles. Earlier this year, Porsche paused production of diesel vehicles to take stock of where it wants to head in the future, now, they have officially announced that diesel versions of the Cayenne and Macan SUVs, as well as the Panamera 4-door, will be discontinued. With consumers growing weary of 'dirty' diesel vehicles and look towards hybrid and electric technology, Porsche made the decision to stop production of all of its diesel-powered models. In its announcement, Porsche says it plans to invest six billion euros in electrified car technology by 2022, pointing out that 63% of Panameras sold in Europe are already hybrids while Porsche sales of diesel vehicles worldwide in 2017 declined to just 12%. With the Taycan's imminent arrival, Porsche predicts that 50% of its first electric car will be delivered as pure electric or hybrid versions by 2025 while the new Porsche 911 is also expected to use hybrid technology. Purists don't have to hang their heads though as Porsche has pointed out that, as part of its future strategy, they are developing a more powerful and efficient internal combustion engine too. “Our aim is to occupy the technological vanguard – we are intensifying our focus on the core of our brand while consistently aligning our company with the mobility of the future," said Blume. It's no surprise to most that Porsche decided to can their diesel offerings as speculation that falling demand and the small matter of the Volkswagen Group ‘Dieselgate’ emissions scandal, including the ongoing investigations by environmental authorities, led Porsche to pull the plug on diesel. When they pushed the pause button on diesel development it was almost inevitable Porsche would make this decision. In 2017, after Dieselgate broke, Audi, Volkswagen and Porsche all issued voluntary software updates for diesel vehicles fitted with what was termed ‘defeat devices’. 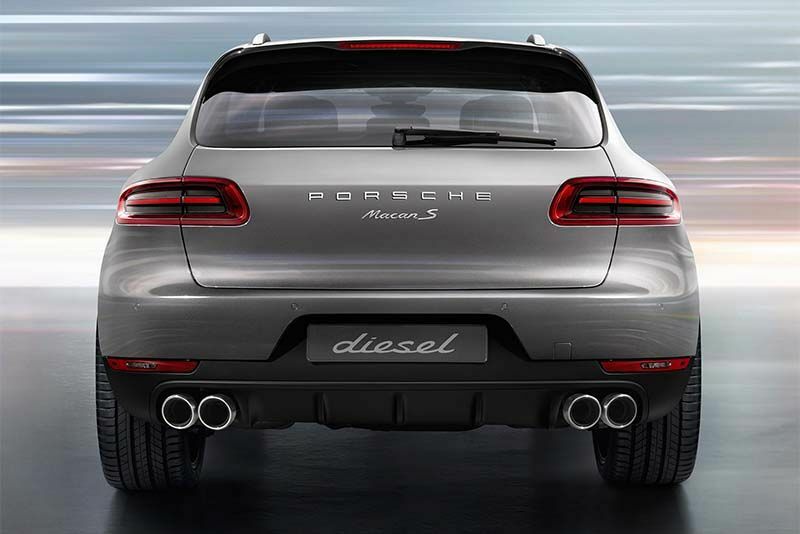 Porsche admitted in 2018 that the Macan S diesel was affected and that they would remove the vehicle from sales floors while “ongoing consultation with the authorities in relation to another software update” was going on. Speculation suggests that Porsche would rather axe that particular model as re-engineering it for assessment under new Worldwide Harmonised Light Vehicles Test Procedure (WLTP) wouldn't make financial sense. So, as Porsche takes the first steps to a greener future, we wonder how long it will be before the rest of the VW Group follow suit. You Have To See This Porsche 911 GT1 Launch! Video: Petrol And Diesel Engines – What's The Difference?